The United Nations talks on an Arms Trade Treaty ended today without consensus on any of the latest proposed treaty drafts. The UN’s self-imposed deadline of July 27 saw considerable disagreement remaining on the part of many nations as to the content and goals of various draft treaty language. The proposed United Nations international Arms Trade Treaty (ATT) is out, and it is already running into trouble as many of the tenets are apparently contrary to United States law, to say nothing of the collision they might have with the Second Amendment. Julianne Versnel-Gottlieb with the Bellevue-based Second Amendment Foundation reports from the U.N. headquarters in New York that the head of the U.S. delegation, Thomas Countryman, was quick to point out that provisions in the proposed treaty will run into trouble with existing law. 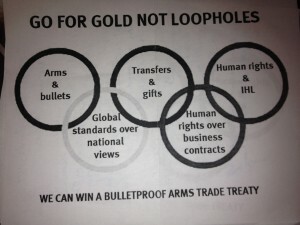 However, Versnel-Gottlieb notes that the proposed treaty is still getting support from the United Kingdom and the French delegation let slip that their ultimate goal is to regulate legitimately-owned “weapons.” Gun rights activists will quickly note that this has not worked too well for the British. The entire document has been posted on the website of the International Association for the Protection of Civilian Arms Rights (IAPCAR), an organization that Versnel-Gottlieb and her husband, Alan Gottlieb, chairman of the Citizens Committee for the Right to Keep and Bear Arms, and founder of SAF, were instrumental in creating. 1. Guided by the purposes and principles of the Charter of the United Nations. 7. Recognizing that development, human rights and peace and security, which are three pillars of the United Nations, are interlinked and mutually reinforcing. 5. The necessity to implement this Treaty consistently and effectively and in a universal, objective and non-discriminatory manner. But as Gottlieb puts it, the Devil is always in the details. It is still not clear whether ammunition will be targeted by this proposed agreement, and that is an important consideration. ATT proponents were hoping to have this treaty signed and in the bag by this Friday, but there is a possibility that may not happen if enough concerns are raised. The States Parties to this Treaty. Guided by the purposes and principles of the Charter of the United Nations. Recognizing that development, human rights and peace and security, which are three pillars of the United Nations, are interlinked and mutually reinforcing. – 2. Each State Party Shall establish and Maintain a national control system to regulate the export of munitions to the extent necessary to ensure that national controls on the export of the conventional arms covered by Paragraph a1 (a)-(h) are not circumvented by the export of munitions for those conventional arms. – 3. Each State Party shall establish and maintain a national control system to regulate the export of parts and components to the extent necessary to ensure that national controls on the export of the conventional arms covered by Paragraph A1 are not circumvented by the export of parts and components of those items. – 4. Each State Party shall establish or update, as appropriate, and maintain a national control list that shall include the items that fall within Paragraph 1 above, as defined on a national basis, based on relevant UN instruments at a minimum. Each State Party shall publish its control list to the extent permitted by national law. – 2. This Treaty shall not apply to the international movement of conventional arms by a State Party or its agents for its armed forces or law enforcement authorities operating outside its national territories, provided they remain under the State Party’s ownership. A State Party shall not authorize any transfer of conventional arms within the scope of this Treaty if the transfer would violate any obligation under any measure adopted by the United Nations Security Council acting under Chapter VII of the Charter of the United Nations, in particular arms embargoes. A State Party shall not authorize any transfer of conventional arms within the scope of this Treaty if the transfer would violate its relevant international obligations, under international agreements, to which it is a Party, in particular those relating to the international transfer of, or illicit trafficking in, conventional arms. A State Party shall not authorize a transfer of conventional arms within the scope of this Treaty for the purpose of facilitating the commission of genocide, crimes against humanity, war crimes constituting grave breaches of the Geneva Conventions of 1949, or serious violations of Common Article 3 of the Geneva Convention of 1949. In making the assessment, the transferring State Party shall apply the criteria set out in Paragraph 2 consistently and in an objective and non-discriminatory manner and in accordance with the principles set out in this Treaty, taking into account relevant factors, including information provided by the importing State. 4. In assessing the risk pursuant to Paragraph 2, the transferring State Party may also take into consideration the establishment of risk mitigation measures including confidence-building measures and jointly developed programs by the exporting and importing State. 5. If in the view of the authorizing State Party, this assessment, which would include any actions that may be taken in accordance with Paragraph 4, constitutes a substantial risk, the State Party shall not authorize the transfer. adversely impact the development of the recipient State. The implementation of this Treaty shall not prejudice previous or future obligations undertaken with regards to international instruments, provided that those obligations are consistent with the goals and objectives of this Treaty. This Treaty shall not be cited as grounds for voiding contractual obligations under defense cooperation agreements concluded by States Parties to this Treaty. Each State Party shall establish one or more national contact points to exchange information on matters related to the implementation of this Treaty. A State Party shall notify the Implementation Support Unit (See Article 13) of its national contact point(s) and keep the information updated. State Parties involved in a transfer of conventional arms shall, in a manner consistent with the principles of this Treaty, take appropriate measures to prevent diversion to the illicit market or to unauthorized end-users. All State Parties shall cooperate, as appropriate, with the exporting State to that end.
. If a diversion is detected the State or States Parties that made the decision shall verify the State or States Parties that could be affected by such diversion, in particulate those State Parties that are involved in the transfer, without delay. Each State Party shall take the appropriate measures, within national laws and regulations, to regulate transfers of conventional arms within the scope of the Treaty. Each State Party shall conduct risk assessments, as detailed in Articles 4 and 5, whether to grant authorizations for the transfer of conventional arms under the scope of this Treaty. State Parties shall apply Articles 3-5 consistently, taking into account all relevant information, including the nature and potential use of the items to be transferred and the verified end-user in the country of final destination. Each State Party shall take measures to ensure all authorizations for the export of conventional arms under the scope of the Treaty are detailed and issued prior to the export. Appropriate and relevant details of the authorization shall be made available to the importing, transit and transshipment State Parties, upon request. Importing State Parties shall take measures to ensure that appropriate and relevant information is provided, upon request, to the exporting State Party to assist the exporting State in its criteria assessment and to assist in verifying end users. State Parties shall put in place adequate measures that will allow them, where necessary, to monitor and control imports of items covered by the scope of the Treaty. State Parties shall also adopt appropriate measures to prevent the diversion of imported items to unauthorized end users or to the illicit market. Importing State Parties may request, where necessary, information from the exporting State Party concerning potential authorizations. Each State Party shall take the appropriate measures, within national laws and regulations, to control brokering taking place under its jurisdiction for conventional arms within the scope of this Treaty. Each State Party shall maintain records in accordance with its national laws and regardless of the items referred to in Article 2, Paragraph A, with regards to conventional arms authorization or exports, and where feasible of those items transferred to their territory as the final destination, or that are authorized to transit or transship their territory, respectively. Such records may contain: quantity, value, model/type, authorized arms transfers, arms actually transferred, details of exporting State(s), recipient State(s), and end users as appropriate. Records shall be kept for a minimum of ten years, or consistent with other international commitments applicable to the State Party. States Parties may report to the Implementation Support Unit on an annual basis any actions taken to address the diversion of conventional arms to the illicit market. Each State Party shall, within the first year after entry into force of this Treaty for that State Party, provide an initial report to States Parties of relevant activities undertaken in order to implement this Treaty; including inter alia, domestic laws, regulations and administrative measures. States Parties shall report any new activities undertaken in order to implement this Treaty, when appropriate. Reports shall be distributed and made public by the Implementation Support Unit. Each State Party shall submit annually to the Implementation Support Unit by 31 May a report for the preceding calendar year concerning the authorization or actual transfer of items included in Article 2, Paragraph A1. Reports shall be distributed and made public by the Implementation Support Unit. The report submitted to the Implementation Support Unit may contain the same type of information submitted by the State Party to other relevant UN bodies, including the UN Register of Conventional Arms. Reports will be consistent with national security sensitivities or be commercially sensitive. This Treaty hereby establishes an Implementation Support Unit to assist States Parties in its implementation. The ISU shall consist of adequate staff, with necessary expertise to ensure the mandate entrusted to it can be effectively undertaken, with the core costs funded by States Parties. Perform other duties as mandated by the Conference of States Parties. States Parties shall designate national points of contact to act as a liaison on matters relating to the implementation of this Treaty. States Parties shall cooperate closely with one another, as appropriate, to enhance the implementation of this Treaty consistent with their respective security interests and legal and administrative systems. States Parties are encouraged to facilitate international cooperation, including the exchange of information on matters of mutual interest regarding the implementation and application of this Treaty in accordance with their national legal system. Such voluntary exchange of information may include, inter alia, information on national implementation measures as well as information on specific exporters, importers and brokers and on any prosecutions brought domestically, consistent with commercial and proprietary protections and domestic laws, regulations and respective legal and administrative systems. 4. Each State Party is encouraged to maintain consultations and to share information, as appropriate, to support the implementation of this Treaty, including through their national contact points. 5. States Parties shall cooperate to enforce the provisions of this Treaty and combat breaches of this Treaty, including sharing information regarding illicit activities and actors to assist national enforcement and to counter and prevent diversion. States Parties may also exchange information on lessons learned in relation to any aspect of this Treaty, to develop best practices to assist national implementation. This Treaty shall be open for signature on [date] at the United Nations Headquarters in New York by all States and regional integration organizations. This Treaty is subject to ratification, acceptance or approval of the Signatories. This Treaty shall be open for accession by any state and regional integration organization that has not signed the Treaty. 5. The Depositary shall promptly inform all signatory and acceding States and regional integration organizations of the date of each signature, the date of deposit of each instrument of ratification, acceptance, approval or accession and the date of the entry into force of this Treaty, and of the receipt of notices. 6. “Regional integration organization” shall mean an organization constituted by sovereign States of a given region, to which its Member States have transferred competence in respect of matters governed by this Treaty and which has been duly authorized, in accordance with its internal procedures, to sign, ratify, accept, approve or accede to it. 7. At the time of its ratification, acceptance, approval or accession, a regional integration organization shall declare the extent of its competence with respect to matters governed by this Treaty. Such organizations shall also inform the Depositary of any relevant modifications in the extent of it competence. 8. References to “State Parties” in the present Treaty shall apply to such organizations within the limits of their competence. This Treaty shall enter into force thirty days following the date of the deposit of the sixty-fifth instrument of ratification, acceptance or approval with the Depositary. For any State or regional integration organization that deposits its instruments of accession subsequent to the entry into force of the Treaty, the Treaty shall enter into force thirty days following the date of deposit of its instruments of accession. For the purpose of Paragraph 1 and 2 above, any instrument deposited by a regional integration organization shall not be counted as additional to those deposited by Member States of that organization. Each State Party shall, in exercising its national sovereignty, have the right to withdraw from this Convention. It shall give notice of such withdrawal to all other States Parties from this Convention. It shall give notice of such withdrawal to all other States Parties and to the Depositary. The instrument of withdrawal shall include a full explanation of the reasons motivating this withdrawal. A state shall not be discharged, by reason of its withdrawal, from the obligations arising from this treaty while it was a party to the Treaty, including any financial obligations, which may have accrued. Each State party, in exercising its national sovereignty, may formulate reservations unless the reservation is incompatible with the object and purpose of this Treaty. At any time after the Treaty’s entry into force, a State Party may propose an amendment to this Treaty. Any proposed amendment shall be submitted in writing to the Depository, which will then circulate the proposal to all States Parties, not less than 180 days before next meeting of the Conference of States Parties. The amendment shall be considered at the next Conference of States Parties if a majority of States Parties notify the Implementation Support Unit that they support further consideration of the proposal no later than 180 days after its circulation by the Depositary. Any amendment to this Treaty shall be adopted by consensus, or if consensus is not achieved, by two-thirds of the States Parties present and voting at the Conference of States Parties. The Depositary shall communicate any amendment to all States Parties. A proposed amendment adopted in accordance with Paragraph 3 of this Article shall enter into force for all States Parties to the Treaty that have accepted it, upon deposit with the Depositary. Thereafter, it shall enter into force for any remaining State Party on the date of deposit of its instrument of accession. The Conference of States Parties shall be convened not later than once a year following the entry into force of this Treaty. The Conference of States Parties shall adopt rules of procedure and rules governing its activities, including the frequency of meetings and rules concerning payment of expenses incurred in carrying out those activities. 3. If circumstances merit, an exceptional meeting of the State Parties may be convened if required and resources allow. States Parties shall consult and cooperate with each other to settle any dispute that may arise with regard to the interpretation or application of this Treaty. States Parties shall settle any dispute between them concerning the interpretation or application of this Treat though negotiations or other peaceful means of the Parties mutual choice. States Parties may pursue, by mutual consent, third party arbitration to settle any dispute between them, regarding issues concerning the implementation of this Treaty. States Parties shall apply Articles 3-5 to all transfers of conventional arms within the scope of this Treaty to those not party to this Treaty. States Parties shall have the right to enter into agreements on the trade in conventional arms with regards to the international trade in conventional arms, provided that those agreements are compatible with their obligations under this Treaty and do not undermine the objects and purposes of this Treaty. The Secretary-General of the United Nations is the Depositary of this Treaty. The original text of this Treaty, of which the Arabic, Chinese, English, Russian and Spanish texts are equally authentic. 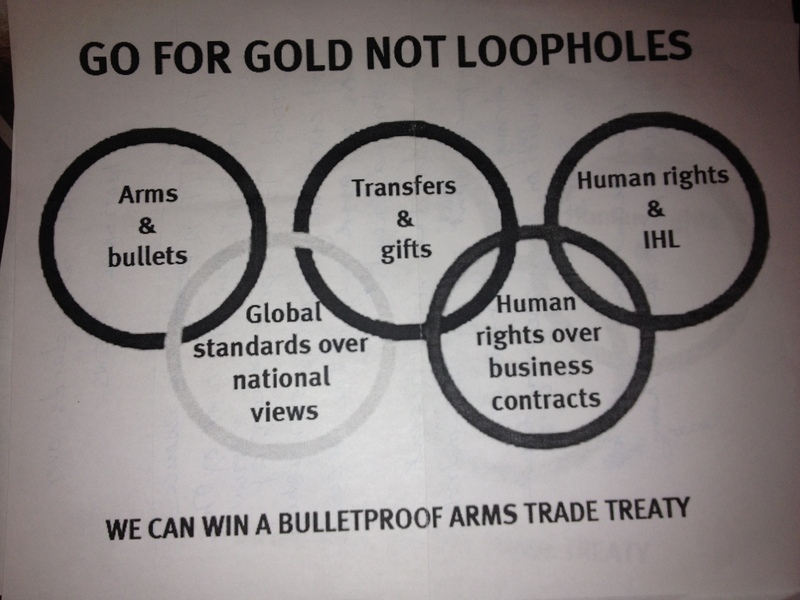 Sometime later this week, the UN will finally unveil its Arms Trade Treaty. The exact date the treaty will be released is a secret. Russia, China, France — with its new Socialist government — Britain and the Obama administration are writing the treaty behind closed doors. Yet even if the final treaty is being kept under wraps, we still have a pretty good idea of some of the requirements that will be in it. The group writing the treaty is not promising. Russia and Britain ban handguns and many other types of weapons. The possession of guns for self-defense is completely prohibited in China. The Obama administration is undoubtedly the most hostile administration to gun ownership in US history, with Obama having personally supported bans of handguns and semi-automatic weapons before becoming president. And remember the recent scandal where the Obama administration was caught allowing guns go to Mexican drug gangs, hoping it would help push for gun control laws. The treaty seems unlikely to ever receive the two-thirds majority necessary to be ratified by the US Senate, but that doesn’t mean it still won’t have consequences for Americans. In other countries with parliamentary systems, even if the relatively conservative parties oppose approval, ratification is just a matter of time until a left-wing government takes power. Reduced private gun ownership around the world will surely lead to more pressure for gun control in our own country. The treaty officially aims to prevent rebels and terrorist groups from getting hold of guns. The treaty claims that at least 250,000 people die each year from armed conflicts and that the vast majority of deaths arise from so-called “small arms” — machine guns, rifles, and handguns. Regulations of private ownership will supposedly prevent rebels and terrorist groups from getting ahold of guns. But governments, not private individuals, are the sources for these weapons. For example, the FARC fighting in Colombia get their guns from the Venezuelan government. The most likely regulations to be pushed by the UN treaty are those that have been the favorites of American gun control advocates for years — registration and licensing, micro-stamping ammunition, and restrictions on the private transfers of guns. Unfortunately, these measures have a long history of failure and primarily just inconvenience and disarm law-abiding gun owners. Gun registration and licensing are pushed as a way to trace those who supply these illicit weapons. Yet, to see the problem with these regulations, one only needs to look at how ineffective they have been in solving crime. Canada just recently ended its long gun registry as it was a colossal waste of money. Beginning in 1998, Canadians spent a whopping $2.7 billion on creating and running a registry for long guns — in the US, the same amount per gun owner would come to $67 billion. For all that money, the registry was never credited with solving a single murder. Instead, it became an enormous waste of police officers’ time, diverting their efforts from traditional policing activities. Gun control advocates have long claimed registration is a safety issue. Their reasoning is straightforward: If a gun is left at a crime scene, and it was registered to the person who committed the crime, the registry will link it back to the criminal. Unfortunately, it rarely works out this way. Criminals are seldom stupid enough to leave behind crime guns that are registered to themselves. From 2003 to 2009, there were 4,257 homicides in Canada, 1,314 of which were committed with firearms. Data provided last fall by the Library of Parliament reveal that murder weapons were recovered in less than a third of the homicides with firearms. About three-quarters of the identified weapons were unregistered. Of the weapons that were registered, about half were registered to someone other than the person accused of the homicide. In only 62 cases — that is, nine per year, or about 1 percent of all homicides in Canada — was the gun registered to the accused. Even in these cases, the registry did not appear to have played an important role in finding the killer. The Royal Canadian Mounted Police and the Chiefs of Police have not yet provided a single example in which tracing was of more than peripheral importance in solving a case. Note that the Canadian data provided above cover all guns, including handguns. It isn’t just the long-gun registry — there is also no evidence that Canada’s handgun registry, started in 1934, has ever been important in solving a single homicide. Micro-stamping involves putting unique codes on a bullet. The most commonly discussed method is to have a special etching that is on the tip of a firing pin, the piece of metal that strikes a bullet and sets off the explosion, that will leave a mark on the bullet casing. The notion then is that if the casing is left a crime scene, the bullet can be traced back to the owner of the gun. The problem is that firing pins can easily be replaced or altered . As to restrictions on the private transfers of guns, the most common type of regulation involves background checks. Yet, whether one is talking about the Brady Act or the so-called gun show loophole, economists and criminologists who have looked at this simply don’t find evidence that such regulations reduce crime and may even increase it . Indeed, as the surges in murder rates after gun bans in the US and around the world show, such regulations don’t stop criminals from getting guns. A huge percentage of violent crime in the US is drug gang related, and just as those gangs can bring in the illegal drugs, they can bring in the weapons that they use to protect that valuable property. The treaty will give Americans yet another insight into the types of gun control laws that President Obama really supports. The good news is that the US Senate will almost certainly prevent him from getting the treaty adopted here. Most rest of the world won’t be so lucky. Gun-control advocates and the Obama administration are rushing to complete negotiations in New York on a proposed international agreement called the United Nations Arms Trade Treaty. They hope to finish the drafting within weeks, perhaps having a document ready for signature so that President Obama could press a lame-duck Senate to ratify it after our Nov. 6 elections. Because these UNATT negotiations had long escaped serious media attention, many Americans are only now learning about their disturbing direction. Ostensibly, UNATT is about regulating government-to-government arms transfers or direct sales by manufacturers to foreign governments. But the hidden agenda of the gun controllers is to craft treaty language that, while seemingly innocuous, has long-range implications for the use and ownership of guns here in America. The real danger lies in vague, ambiguous stipulations gun-control advocates could later cite as requiring further domestic restraints. In other words, they hope to use restrictions on international gun sales to control gun sales at home. Indeed, the theme underlying the negotiations is that the private ownership of guns is inherently dangerous. There is, of course, little doubt why dictatorships and authoritarian regimes don’t want their oppressed citizens to have weapons — but such positions do not merit American support. There are compelling arguments for closely monitoring foreign sales of truly military weapons such as machine guns, crew-served mortars and shoulder-fired missiles. Keeping such arms out of the hands of rogue states and terrorists is, beyond dispute, in our national interest. But the United States already has a strong regulatory regime under the Arms Export Control Act to license the export of American-made weapons. Extensive controls surround the ultimate purchasers and the uses to which the weapons are put. We can be justifiably proud of our regulatory system. Unfortunately, however, there is little or no evidence the proposed UNATT will have any material effect on illicit international trafficking of weapons. Many other nations, such as Russia, are much less scrupulous than we are. And countries that are unwilling or unable to police their own domestic manufacturers are not likely to change merely by signing yet another international agreement. Moreover, there is a world of difference between weapons for military campaigns and those used for recreation and hunting. The U.S. has a long history of respecting the individual ownership of firearms. It is against this legitimate tradition of private ownership that gun-control advocates are exerting their efforts. Their strategy surfaced most clearly in 2001 at a UN conference aiming to restrict international sales of “small arms and light weapons,” a precursor to the current negotiations. I was part of the Bush administration’s diplomacy to block this effort, which we ultimately succeeded in doing. During the 2001 debate, I spoke at the UN General Assembly in New York, and the reaction to my remarks revealed the gun-controllers’ hidden agenda. I said merely that the United States would not agree to any proposed treaty that would violate our Second Amendment freedoms. From the gun-control lobby’s reaction, you would have thought I said something outrageous or even dangerous. In truth, they knew we had uncovered their agenda and spiked it. Indeed, during the Bush administration’s remaining years, despite occasional flareups of activity, the gun controllers laid low, waiting for their opportunity. They may have waited too long, because their current frantic efforts betray their fear that Obama could lose in November, replaced by a pro-Second Amendment Romney administration. Significantly, a bipartisan letter signed by 58 senators has already rejected any treaty that seeks, however cleverly, to impose gun-control obligations on the U.S. The gun-control crowd’s strategy of trying to do through treaties what it cannot accomplish in America’s domestic political process is not unique to that issue. We have seen and will undoubtedly see many more examples of frustrated statists, unable to prevail in free and open debate, seeking to take their issues global, hoping to find more sympathetic audiences. Stopping UNATT will be one clear way to send a message that such strategies are doomed to failure. Bolton was U.S. ambassador to the United Nations under President George W. Bush. INDIANAPOLIS, Jul 10, 2012 (BUSINESS WIRE) — Calling a proposed United Nations Arms Trade Treaty a “potential threat to our Constitutional rights,” the head of the nation’s largest organization of wartime veterans said the White House and the U.S. Senate should reject any proposal that usurps the sovereignty of the American people. The American Legion was founded on the four pillars of a strong national security, veterans affairs, Americanism, and youth programs. Legionnaires work for the betterment of their communities through more than 14,000 posts across the nation. For much of the past two weeks, I’ve been attending the U.N.’s Arms Trade Treaty conference in New York and blogging on the craziness of Turtle Bay. A number of comments on my blogs—and many external commentators—have raised the question of whether the ATT is, pure and simple, a “gun grab” treaty. No external power, and certainly not the U.N., can disarm U.S. citizens or deprive us of our Second Amendment rights by force. If there is a Second Amendment problem, it comes from the actions of U.S. authorities. The U.N. and many of its member states are hostile to the private ownership of firearms. The U.S. is exceptional: It is one of the few nations that has a constitutional provision akin to the Second Amendment. Thus, the default U.N. tendency—partly out of malevolence, partly out of ignorance—is to act in ways contrary to the Second Amendment, and the fundamental job of the U.S. at the U.N. is to try to stop bad things from happening. The alternative of completely quitting the entire U.N. is appealing but unwise, because the U.N. would keep doing things that would affect the U.S. even if we were not in it. The U.N. is aware of the political dangers of appearing to stomp openly on the Second Amendment. It uses code words; it runs closed meetings—a veteran of the process tells me that meetings were normally open until the National Rifle Association began showing up at them—and, above all, it plays a long game. A big problem with talking about the ATT as a “gun grab” treaty is that the U.N. works by taking slices: when it comes to the U.N., being outraged by one development is no substitute for focusing on how the slices pile up over time. I don’t give much too much credit to the U.S. for stating as a red line that it will uphold the Second Amendment, because that raises the question of what relevant activities are (as the State Department puts it in its red line) “permitted by law or protected by the U.S. Constitution.” Simply backing the Second Amendment is good, but it is better to spell out—as Senator Jerry Moran (R–KS) did at Heritage recently—exactly what rights and activities you believe the Second Amendment protects. Only in that way does a promise to uphold the Second Amendment carry the full weight that it deserves. So what are the domestic concerns posed by the ATT? Four are important. Does this mean that any transfers, including domestic ones, count as international and are thus subject to the treaty’s provisions? There are similar concerns related to the potential reporting requirements of the treaty and thus to the possible creation of a U.N.-based gun registry. If it is to be true to its published red lines, the U.S. cannot accept any of this. International business. Second, most major U.S. arms manufacturers have an international financing, insurance, and parts and components chain. The ATT could become a means for foreign countries to pressure U.S. firms to exit the market, reducing the ability of Americans to make effective use of their firearms rights. Further review of the rules. This is not the end of the process. The ATT will be elaborated at review conferences, where the U.S. goal is to develop “best practices” for its implementation. Similarly, if President Obama were to sign the ATT but not submit it to the Senate for ratification, the U.S. would hold itself obligated to “refrain from acts which would defeat the object and purpose” of the ATT. Constitutional interpretation. Finally, the ATT is part of a process that will inspire judges and legal theorists who believe that the Constitution needs to be reinterpreted in light of transnational norms. This is the most important problem of all, though it is broader than the ATT. Just because the ATT is not a “gun grab” treaty does not mean it raises no domestic concerns: “Gun grabs” are less plausible than “death by a thousand cuts.” On the other hand, the ATT should raise concerns beyond the Second Amendment. Representative Mike Kelly (R–PA) recently led 130 of his colleagues in expressing a range of concerns about the ATT to the Administration. It makes sense to balance legitimate expressions of concern for the Second Amendment with concerns on economic, foreign policy, and national security grounds. There’s enough to dislike about the ATT to keep everyone busy. SAAMI – the Sporting Arms and Ammunition Manufacturers Institute – delivered the following official statement at the UN Arms Trade Treaty negotiations. Thank you, Mr. President. My name is Richard Patterson and I’m the Managing Director of the Sporting Arms and Ammunition Manufacturers’ Institute, also known as SAAMI. SAAMI was created in 1926 at the request of the US government to create safety and reliability standards in the design, manufacture, transportation, storage and use of firearms, ammunition and components. The true success of this conference requires a focus on the big picture. Guns are tools, and like any tool can be used for great good and great harm. We all know the tragedy caused by those few who choose the path of violence, regardless of the tools they use. But you must also remember that hundreds of millions of citizens regularly use firearms for the greater good. Regulated hunting keeps wildlife populations in balance with healthy ecosystems and is a major contributor to economic stability—and thereby promotes peace—in rural areas and developing countries. Target shooting has its roots in the very beginnings of civilization. This is an Olympic year, and shooting events attract the third largest number of participating nations of any sport at the Olympic Games. And people in every nation in this room—including the UN itself—use firearms to protect the law abiding and enforce peace. A well-meaning treaty that does not support the positive use of firearms is doomed to cause more harm than good. A simple step in the right direction is to focus on the fully automatic weapons of war and exclude sporting firearms. Now what does the inspector do? Millions of dollars would have been wasted—diverted into a system that cannot work. This money could otherwise have been used to fight those who choose violence. Just as you cannot be all things to all people, this treaty can’t either. Focus on the real problems, that can be managed—focus on military weapons, and avoid being distracted by topics like ammunition, which are laudable in their idealism, but completely lacking in their practicality. Be focused, be specific, and draft a treaty with precise definitions that minimize the loopholes of “creative interpretation.” This is the path to a successful Arms Trade Treaty. Global Gun Grab: Sheldon Clare from the Canadian National Firearms Association (NFA) talks about the UN’s infatuation with getting it wrong when it comes to guns. One year ago I wrote an article titled “U.N. Agreement Should Have All Gun Owners Up In Arms” which has recently gained a great deal of renewed public interest. This update reviews some more recent developments, offering additional perspective about an immediate matter which should be of great concern to all who value rights guaranteed by our Second Amendment. Under the George W. Bush administration, the U.S. originally voted against a resolution that began the process in 2006. However, the current administration reversed that policy, and strongly supports its enactment. In January 2010, U.S. representatives joined with those of 152 other countries in endorsing a U.N. Arms Treaty Resolution to draft a blueprint for enactment in 2012. This activity is planned to be completed by July 27, and Secretary of State Hillary Clinton has pledged to push hard for Senate ratification. Previously led by the United Kingdom, there can be no doubt that the U.N.’s 193-member General Assembly will approve it. Such statements have many very strong skeptics, both inside and outside Congress. One reason, among many, is that Iran, a country that is one of the world’s worst human rights violators, yet often chaired the U.N. Human Rights Council…yes Iran, arms supplier to many of America’s most determined adversaries… was selected for a top Arms Trade Treaty (ATT) planning conference position. The members, apparently including U.S. representatives, authorized this selection shortly after the same U.N. found the very same Iran guilty of transferring guns and bombs to the Syrian regime of Bashar Assad who is presently slaughtering thousands of its own citizens. Meanwhile, the U.N., America included, purporting to be distraught about illicit, illegal and destabilizing transfers of arms, watches in the wings as these tragedies unfold. Of course, they’re very busy. Those arms control planning conferences require a lot of attention. On June 29, 130 Republican House members sent a letter to President Obama and Secretary Clinton arguing that the proposed treaty infringes on the “fundamental, individual right to keep and bear arms”. The letter charges that “…the U.N.’s actions to date indicate that the ATT is likely to pose significant threats to our national security, foreign policy, and economic interests as well as our constitutional rights.” The lawmakers adamantly insist that the U.S. Government has no right to support a treaty that violates the Constitution and Bill of Rights. So let’s review some recent history and see if gun owners and other Second Amendment defenders might have very good reasons to take issue with this treaty. Actually, we don’t have to look back very far at all. Consider the Fast and Furious debacle, an operation that was represented to be all about targeting bad guys who are committing violent crimes on both sides of our border with Mexico. There can be no remaining doubt that the program was really aimed at border gun shops and their right to conduct legal civilian firearms sales. And after the 2010 Republican House cleaning dashed President Obama’s dream of a carbon cap-and-trade program, he wasted no time finding a way to circumvent that pesky obstacle. His EPA is gleefully pursuing that same anti-fossil energy agenda. Meanwhile, Congress sits idly by and allows this breach of its constitutional responsibility established by separation of powers to continue. Both President Bill Clinton and George W. Bush supported the treaty during their tenures, yet they never sent it to the Senate for ratification because of opposition over concerns that it will limit commerce and allow international bodies to wield control over U.S. interests. During W’s term of office, then-Senator Joe Biden introduced LOST before the Senate Foreign Relations Committee he chaired in 2007, yet it was never brought to the floor for a vote. Given good prospects that the White House and Senate may have fewer Democrat residents after November, Senator Kerry and other proponents have been working hard to speed up the approval process before moving vans arrive. But, like LOST, the Arms Trade Treaty can’t be enacted unless Congress ratifies it. Right? And, of course, they would never approve any global agreement that will infringe upon our constitutional Second Amendment protections. Right? Well, let’s assume for argument’s sake that they won’t. But now consider another possibility, something called a “soft law”. Remember that sustainable development agenda mentioned earlier that the European foreign ministers want to incorporate into the treaty provisions? Originally intended to be implemented in connection with a U.N. treaty, an “Agenda 21” plan was enacted as a soft law in 1993 creating a nongovernmental organization, the “International Council for Local Environmental Initiatives” (ICLEI), by Executive Order after the Clinton administration was unsuccessful in getting Congress to ratify the program. They wouldn’t approve the treaty because it would transfer massive regulatory control over broad aspects of U.S. energy production and consumption. In 2003 the NGO’s name was changed to “ICLEI- Local Governments for Sustainability” to emphasize “local” and diminish concerns about “international” influence and associations with U.N. political and financial ties. ICLEI’s are now active in most of our counties On its web page, “ICLEI: Connecting Leaders”, the organization explains that their networking strategy connects cities and local governments to the United Nations and other international bodies. And so they have. “Comprehensive planning”, “growth management” and “smart growth” (which is Agenda 21 with a new name). All mean pretty much the same thing… centralized control over virtually every aspect of urban life: energy and water use, housing stock and allocation, population levels, public health and dietary regimens, resources and recycling, “social justice” and education. So this time the U.N.-sponsored ATT initiative, whether enacted by Congress or through a soft law Executive Order, can be expected to receive an appealing identity as well. Most likely it will purport to protect us from “terrorism”, “insurgency” and/or “international crime syndicates”. Perhaps, without saying so, it will be pitched to protect us even from ourselves. Don’t forget that an Illinois senator named Barack Obama was an aggressive advocate for expanding gun control laws, and even voted against legislation giving gun owners an affirmative defense when they use firearms to defend themselves and their families against home invaders and burglars. That was after he served on a 10-member board of directors of the radically activist anti-gun Joyce Foundation in Chicago which contributed large grants to anti-Second Amendment organizations. But then, as a former lecturer in constitutional law, wouldn’t he certainly realize that the U.N.’s gun- grab agenda violates our sovereign rights? Perhaps the answer to that question warrants some serious reflection! UNITED NATIONS – A treaty being hammered out this month at the United Nations — with Iran playing a key role — could expose the records of America’s gun owners to foreign governments — and, critics warn, eventually put the Second Amendment on global trial. The world body has already been criticized for appointing Iran to a key role in the talks, even as Tehran stands accused by the UN of arming Syrian President Bashar al-Assad’s bloody crackdown on rebels. The Obama administration in 2009 reversed Bush administration policy by agreeing to take part in the talks. But in another exclusive interview with FoxNews.com , the top government official on the issue under President Bush says he’s seen nothing new to convince him the U.S. should be at the table today. While the treaty’s details are still under discussion, the document could straitjacket U.S. foreign policy to the point where Washington could be restricted from helping arm friends such as Taiwan and Israel, said Greg Suchan, Deputy Assistant Secretary in the State Department’s Bureau of Political-Military Affairs from 2000 to 2007. Suchan also highlighted ongoing concern that the treaty may end up giving foreigners access to U.S. gun-ownership records. On that score, LaPierre, who serves as NRA executive vice president, warns that the “UN’s refusal” to remove civilian firearms and ammunition from the scope of the treaty amounts to a declaration that only governments should be gun owners. But he revealed he was set Wednesday to tell the UN gathering that 58 U.S. senators had signed a letter saying that they would refuse to ratify any treaty that includes controls over civilian guns or ammunition. Ratification by two-thirds of the Senate is necessary before an international treaty negotiated by the executive branch can become U.S. law. But the treaty could still go into effect elsewhere once 65 countries ratify it. Such a development could change the pattern of world arms transfers and reduce the U.S. share, which stands at about 40 percent of up to $60 billion in global deals. The Bush administration opposed a 2006 UN General Assembly resolution launching the treaty process, but President Obama decided the U.S. would take part on condition the final agreement be reached by consensus — thereby giving any of the 193 participating states an effective veto. The safeguard is insufficient for opponents of the U.S. participation, not least because UN talks invariably involve compromise. “The administration swears they have a whole bunch of red lines, and they will block consensus if anyone crosses them,” said Suchan, now a government relations consultant as senior associate with the Commonwealth Consulting Corporation in Arlington, Va.
A clause permitting arms transfers solely between UN member states would allow UN member China to object to U.S. arms sales to Taiwan, a non-UN member that China considers to be a renegade province. This would be highly problematic for the U.S. at a time when Beijing is engaged in an unprecedented arms buildup. Another fear is that Arab or other states critical of Israel may use any treaty language on human rights standards to argue against U.S. arms transfers to the Israeli government – much in the same way they currently use the UN Human Rights Council to repeatedly condemn Israel. Suchan said U.S. arms trade law is seen as the global “gold standard” for regulating arms transfers, but doubted many countries would be willing to raise the bar that high. Instead, the treaty that emerges is expected to set a lower global standard – which Suchan said would have the effect of reducing Washington’s ability to press for voluntary arms embargoes against rogue states. “We might want to urge a country to not sell arms to a state whose government is particularly odious,” Suchan explained. U.S. gun lobby concern focuses on the emphasis the treaty places on governmental – as opposed to individual – rights to guns, LaPierre explained. “They’re trying to impose a UN policy that gives guns to the governments – but the UN doesn’t in turn make moral judgments as to whether these governments are good or bad,” he said. For LaPierre, the emphasis he sees at the UN on governmental rights reflects what he believes is a wider international tradition that contrasts with the historical American emphasis on individual rights. “The UN view is that governments – not individual citizens – ought to protect people,” he said, signaling that this principle permeates the draft that negotiators are currently working with. LaPierre says the treaty that is likely to emerge will have the effect of squeezing individual gun owners in the United States and elsewhere by imposing on them an onerous collection of regulations. “If they get this through, then what comes along is the institutionalizing of the whole gun control-ban movement within the bureaucracy of UN – with a permanent funding mechanism that we [in America] will be mainly paying for,” he said. Last year the Gun Rights Policy Conference in Chicago held a panel discussion on how to fight international limitations on civilian arms rights. The topics ranged from legal actions in other countries, the actual actions at the UN, and the formation of the new international gun rights group IAPCAR. Proposal does include civilian firearms and ammunition, not limited to tanks, missiles, bombs, jets, and helicopters. The A2S5 Coalition of the Philippines is the latest organization to join forces with the International Association for the Protection of Civilian Arms Rights (IAPCAR), raising their international membership to 23 member organizations in 15 different nations around the globe. With member groups on every continent, IAPCAR executive director Philip Watson has been more than pleased with the positive response the group has received. “This is a significant development for us,” said Mike Melchor, the A2S5 Coalition’s director for strategic plans. Alan Gottlieb, chairman of the Citizens Committee for the Right to Keep and Bear Arms, who was instrumental in creating IAPCAR, was very happy to have A2S5 as IAPCAR’s newest affiliate in the Philippines. The Arms Trade Treaty is currently under negotiation at the United Nations and set to be signed the last week of July, placing many arms rights groups at odds with global gun control advocates. “IAPCAR strongly opposes any UN treaty infringing on national sovereignty or individual gun rights,” noted Julianne Versnel, director of operations at the Second Amendment Foundation, the second influential gun rights group instrumental in forming IAPCAR. The same political mindset that is pushing the United Nations Arms Trade Treaty (ATT) talks this month is also at work keeping residents of Washington, D.C. from exercising their Second Amendment rights, and one might suggest that Bellevue’s Alan Gottlieb is strongly linked to both quagmires. As this column has noted, Gottlieb has been actively battling the ATT through his international activities related to the formation of IAPCAR (the International Association for the Protection of Civilian Arms Rights) and his participation in the World Forum on the Future of Sport Shooting Activities (WFSA). Imagine that. Members of Congress going to the supermarket unescorted. Millions of law-abiding, tax-paying citizens do that every day, and they manage to get back home in one piece, even though millions of their fellow citizens are legally carrying — unobtrusively in their presence, one might add. The same mindset that wants to keep District residents disarmed wants to plant the seeds for global civilian disarmament with the ATT. As a story carried by CNS News Thursday explained, there are grave concerns about the ATT and what it could ultimately mean to Second Amendment sovereignty. President Obama may glibly dismiss such concerns in his strutting, hip upscale down-his-nose public speaking style, but this is the same guy who reversed long-standing U.S. policy on global gun control by embracing the ATT back in 2009 after the Bush administration previously stood firm in singular opposition. He’s also the same guy who said Obamacare is not a tax, but Chief Justice John Roberts certainly corrected him on that one. Gottlieb’s Citizens Committee for the Right to Keep and Bear Arms had a hand in creating legislation in the House and Senate that would derail ATT threats to the Second Amendment, as this column noted. There is considerable Capitol Hill concern about the ATT, especially in the wake of the Obamacare surprise, that it was constitutional after all…because it is a tax. Bureaucrats and politicians who seek to disarm people, whether through local resistance to gun rights expansion in this country, or promotion of broad international treaties that are prone to misuse and abuse, are misguided at best. Public disarmament has never had a good outcome for the public. Such disarmament comes in many forms, typically by increments and by the time the damage is done, how it got started is less important than how it can be reversed. In this country we’ve had help from the courts, with cases pushed by SAF and others, but an international treaty will be beyond the power of U.S. courts, and that might just be what global gun control proponents are counting on. American gun rights advocates might thank the Palestinians and their supporters for delaying, until Tuesday afternoon, anyway, the start of the long-awaited Arms Trade Treaty (ATT) negotiations at the United Nations, although it leaves two key players from Washington State in a bit of a lurch. Alan Gottlieb, chairman of the Bellevue-based Citizens Committee for the Right to Keep and Bear Arms, and his wife, Julianne, have been key players in organizing the opposition to the ATT. Both are planning to be at the U.N. sometime during the negotiation process. It is widely known that CCRKBA staff had a role in crafting legislation sponsored by Congressman Joe Walsh (R-IL) and Senator Jerry Moran (R-KS) that would protect the Second Amendment from any such international treaty. The session is now scheduled to begin at noon Pacific Time. It is not clear when representatives from Non-Government Organizations (NGO) will get to speak. Not only will the Gottliebs be attending at some point, so also is Wayne LaPierre from the National Rifle Association. What has become clear lately is that despite the eagerness of many U.N. members to adopt some sort of treaty, there is opposition from powerful corners, including China and Russia. The United States under Barack Obama reversed position a couple of years ago, and now officially supports a treaty, but that does not mean the document has a chance of getting through the Senate ratification process. If there is any question about Unites States constitutional sovereignty, the ATT is probably a non-starter. Alan Gottlieb has been working to counter international gun control efforts for several years. He was a key player in the formation of IAPCAR, the International Association for Protection of Civilian Arms Rights. Both Gottliebs have been back and forth to Europe several times, participating in the World Forum on the Future of Sport Shooting Activities. The irony about Obama’s support for the treaty should not be lost on gun owners following the Fast and Furious debacle. While the current administration wants to clamp down on global gun trafficking, it continues withholding documents key to the investigation of that scandal by the House Committee on Oversight and Government Reform. While President Obama will apparently sign the treaty – which proponents want to be legally binding – his own attorney general stands in contempt of Congress. Wednesday is Independence Day, but there could be fireworks of the political variety starting Tuesday afternoon, and continuing through the month. Dennis K. Burke, who as a lawyer for the Democrats on the Senate Judiciary Committee in the 1990s was a key player behind the enactment of the 1994 assault-weapons ban, and who then went on to become Arizona Gov. Janet Napolitano’s chief of staff, and a contributor to Barack Obama’s 2008 presidential primary campaign, and then a member of Obama’s transition team focusing on border-enforcement issues, ended up in the Obama administration as the U.S. attorney in Arizona responsible for overseeing Operation Fast and Furious. Eight days before Obama’s inauguration, on Jan. 12, 2009–while Burke was working on the transition team–Obama met with Mexican President Felipe Calderon at the Mexican Cultural Institute in Washington, D.C. At that meeting, Obama “pledged” to take action to stop the flow of guns from the United States to Mexico. The same day Napolitano testified in the Homeland Security Committee, Attorney General Holder addressed the issue of drug-trafficking-related gun violence in northern Mexico. He said he had had conversations about the issue with the Mexican attorney general and that the Obama administration believed that re-instating the assault-weapons ban in the United States–the one Dennis Burke had initially helped push through as Senate aide in 1990s–would help the situation in Mexico. A report on Fast and Furious released by House Oversight and Government Reform Committee Democrats in January 2012, indicates that on Jan. 5, 2010, officials from the ATF Phoenix office met with Assistant U.S. Attorney Hurley and determined that the gun-trafficking investigation should continue because it wasn’t ready for prosecution. The Democrat report quotes a briefing paper prepared by the ATF three days after the meeting–which would be Jan. 8, 2010–that says U.S. Attorney Burke was briefed on the matter and agreed that the investigation should continue. The exchanges between Burke and Holder’s deputy chief of staff at the time of Agent Terry’s murder are reported in the report published by the committee Democrats. Despite this email from Wilkinson, Burke told the committee he did not recall actually having such a phone conversation, and the Department of Justice told the committee that Wilksonson does not recall making the call. Also Attorney General Holder himself testified that his deputy chief of staff never told him about the tie between the gun-trafficking investigation and Agent Terry’s murder. “In his interview with Committee staff, U.S. Attorney Burke stated that he did not recall having any subsequent conversation with Mr. Wilkinson that ‘included the fact that Fast and Furious guns were found at the scene’ of Agent Terry’s murder,” the Democrat report said. Brian Terry’s murder caused an apparent change of plans for the Justice Department. As the scandal began to build by that summer, Brian Terry’s mother–Josephine Terry–testified at the hearing of the House Oversight Committee. The mother of the slain Border Patrol agent told the committee that Burke informed the family of the agent’s death, but did not provide details about Operation Fast and Furious. “Congressional investigators later determined that the individual who was behind the leaked documents was the U.S. Attorney for the District of Arizona, Dennis Burke–the Obama Administration political appointee who led the office in charge of Operation Fast and Furious,” said Issa’s May 3 Oversight Committee memo. On June 28, the full House of Representatives voted, 256-67, with 17 Democrats joining the Republican majority, to hold Attorney General Eric Holder in contempt of Congress for refusing to release the documents requested by the Oversight and Government Reform Committee. should be posted on the walls of every Post Office in the land. Most wanted criminals of all time. A dispute over the status of the Palestinian delegation delayed the official start of negotiations, which are now set to begin in New York on Tuesday. Some countries have called for a quick agreement; however, others have major reservations about the ATT. More than 130 Congressmen, signed a letter sent to President Barack Obama Monday expressing their opposition to a U.N. Arms Trade Treaty if it violates U.S. gun owner rights and sovereignty in any way.